An increasing proportion of our lives are spent in non-places which are remembered in almost generic terms, places that lurk at the edge of activity. These places are transient, meaningless and often empty, solitary locations such as shopping centres, motorways, airport lounges and bus stops. They leave no traces of our presence and we barely even think about them in daily use. 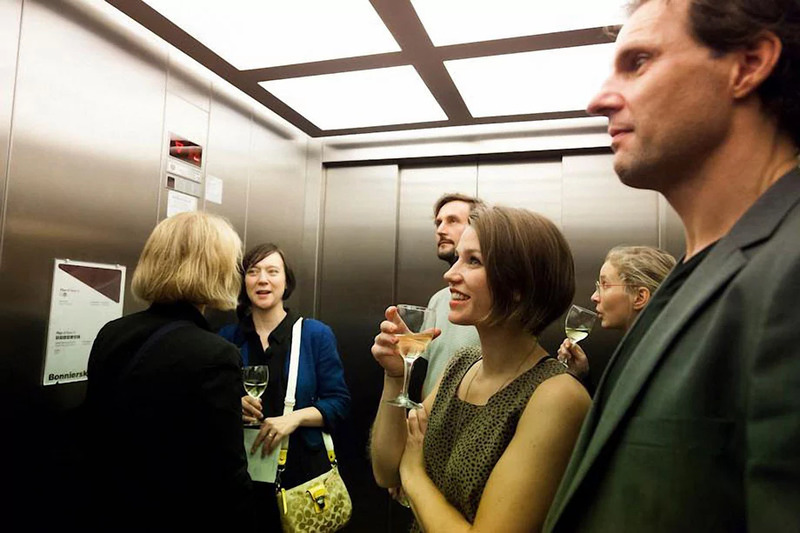 Hiss concrète is a work that attempts to draw attention to a very specific non place- an elevator in a public building. It will use all the sounds of the elevator itself, doors, motor and ambience, combined with recordings I have made all over the globe of other elevators, bells, buzzers, gates, voice announcements for different floors, in a variety of languages from English, German, Spanish, French, Japanese and Chinese. Hiss concrète offers a connection between ideas of Elevator Music, that kind of vapid, generic easy listening music that is frequently piped through shopping centres and airports, and Musique Concrète, an experimental technique of music composition that assembles work by using natural sounds found around us. Modified, processed and manipulated using all manner of digital techniques the work will remain unobtrusive yet celebrate this anodyne and anonymous space.